UPDATE 2 (2014-5-7): The exact legal status of some of the ports remains a mystery. I have attempted to clarify and point out some of the remaining areas of confusion below. 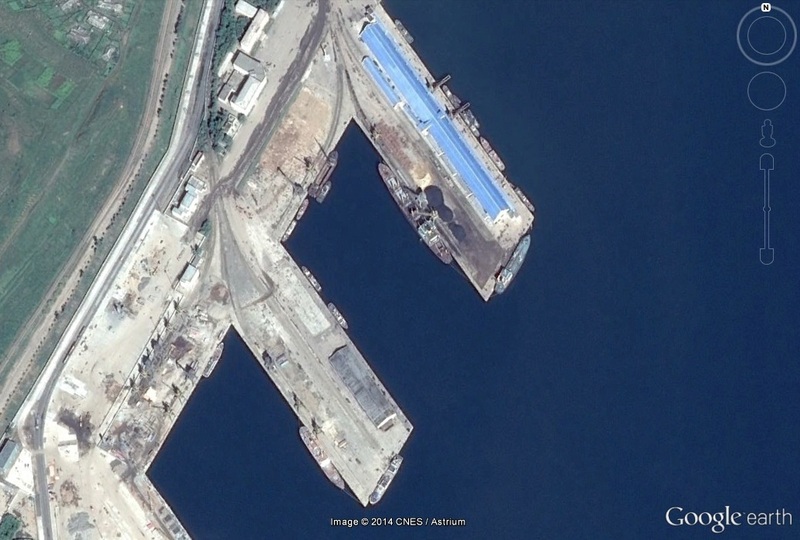 Pictured above (Google Earth): A 2013-9-14 satellite image of Rason Piers 1 and 2. Pier 1 (Top) is used by the Chinese. The Royale Star is docked at Pier 2. Jang made no scruple of committing such act of treachery in May last as selling off the land of the Rason economic and trade zone to a foreign country for a period of five decades under the pretext of paying those debts. This phrase had Pyongyang watchers abuzz over whether Chinese contracts in Rason were in any danger of being violated by the North Korean government. Of course it was immediately unclear what enterprise(s) would be affected since we are all unaware of any significant deals reached in May of 2013. A recent statement by a North Korean official in the Hong Kong media has, however, raised the issue of contract credibility in the DPRK yet again. Chinese companies have not leased piers at a port of North Korea’s free trade zone, a Pyongyang official has told Hong Kong media, raising speculation that the shock execution of the North Korean leader’s uncle might have soured business ties with its key ally. China reportedly agreed to invest about US$3 billion in developing the free trade zone in North Korea’s northern tip of Rason, formerly known as Rajin and Sonbong, in late 2011. The special trade zone sits across the border from China’s northeastern Jilin province. There have been media reports that Chinese companies have leased two piers at the Rason port, but Kim Chun-il, a division chief of the port’s foreign business bureau, denied such reports during an interview with Hong Kong-based Phoenix TV. “They (Chinese people) have said so, but we have never formally rented out Pier 1 and Pier 2 to them,” Kim said. The interview was made during a 72-minute special TV program on the Rason trade zone, which was aired on April 19. The program’s video footage can be seen on the website of Phoenix TV. Kim said that Russia leased the Pier 3 at the port, adding that North Korea plans to modernize the two piers on its own. The Chinese media did indeed claim at least once (see here) that they were “using” Piers 1 and 2. And Dr. Bernhard Seliger told us back in September 2012 that the Chinese were using the port, although no lease was signed [see below]. The Rajin Port, a transit trade port, is the hub of international cargo transit transportation and transport of exports and imports of entrepreneurs who invested in the zone. The port has assignments to transport marine products for export from the East Sea of Korea and every kind of cargoes from and to northeast area of China and Far East Region of Russia. The Rajin Port consists of three wharves; wharf No. 1 is designed to be renovated and operated by China Dalian Chuang Li Co., Ltd. and wharf No.3 by Rason International Container Transport J. V. Company to be set up according to the contract with Russian Rail Trade Co., Ltd. I cannot imagine that a Chinese company is going to renovate and operate the pier without a clear contract. Of course the status of that contract is now called into question. Has the Chinese firm pulled out? Have the North Koreans canceled the contract? Are North Korean individuals from different agencies just not on the same page? Who knows? Still no word on Pier No. 2. Great recent photos of Rason port by Ray Cunningham here. The 80 year old port has three piers, of which the No. 3 pier is used by the Russians. They have a long-term lease (50 years starting in 2008) and while they are currently doing some work there, it is not being used for exports. 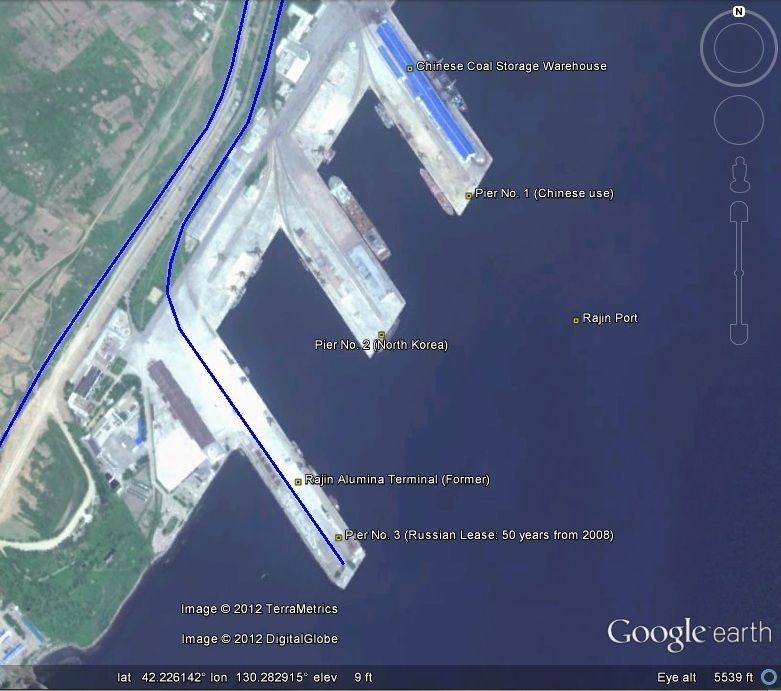 China is interested in using Pier No.1 (where it rents a warehouse to store coal) and Pier No. 2 (currently in use by the Koreans). Plans have also been expressed (now cancelled) to build 2 new piers (No. 4 and 5) (See here). For many years the Chinese and North Korean governments have negotiated a pier rental agreement, but for now there is no concrete result–though at numerous times it has been maintained that China already rented the port. What exactly the problems are is not known. For now China uses the port to bring coal from the northernmost Heilongang Province to southern China via a sea route, an event which took place twice this year. Theoretically, the port as a handling capacity of 3 million sq. tons, however the maximum real handling was 800.000 tons in 1979, while last year it was 200.000 tons. The depth of the harbor is 9 m.
In a report from Xinhua (2012-8-28), the Chinese assert they are using ports 1 and 2. China […] was using No. 1 and 2 piers, while Russia had leased No. 3 pier, said an official in charge of foreign affairs of the port. So there is some discrepancy between the Chinese account and Dr. Seliger. ORIGINAL POST (2010-5-23): What are the three piers at Rason used for? The City of Rajin (Rason) has three ports (pictured above–click for large version). According to a 1998 UNDP report, Pier No. 1 (on the right) was known as the “Russian-Japanese Bulk Fertilizer Terminal. It has now been leased by the Chinese. Port No. 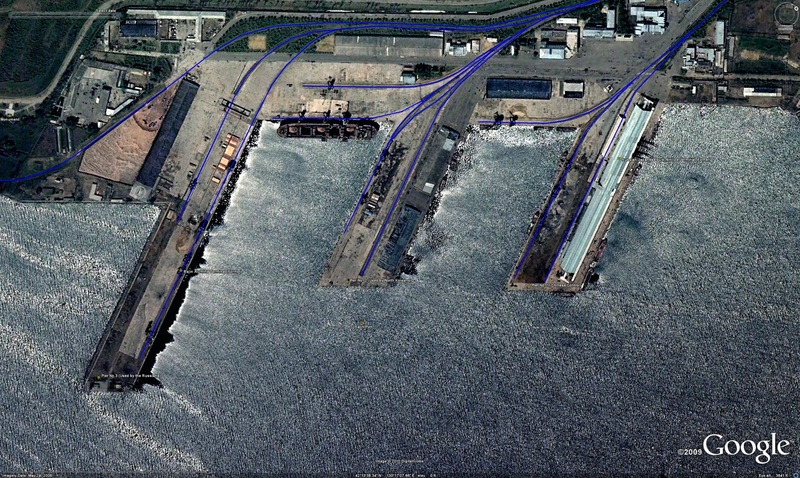 3 (left) was formerly known as the Rajin Alumina Terminal. This is now leased by the Russians (see here). A fellow North Korea-watcher tells me that Pier No. 2 is reserved for the North Koreans. KBS recently ran a video on recent changes in Rason. I have uploaded the segment to YouTube (Apologies to readers in China). You can see the video here. On a side note, if anyone in China has the time and savvy to rip videos from my YouTube account and re-post them on Youku please go for it. In September 2013 the DPRK held its first conference on economic development zones under the just announced State Economic Development Commission. Read all about it here. Pyongyang, May 2 (KCNA) — There took place at Yanggakdo International Hotel on Friday knowledge sharing on SEZs in the DPRK hosted by the Korea Economic Development Association [AKA State Economic Development Commission/Association]. It was attended by Ri Chol Sok, vice-chairman of the association, and its other officials and experts and teachers and researchers at scientific and educational institutions and officials concerned. Also present there were Kyung-Ae Park, professor at University of British Columbia, Canada, prestigious experts on special economic zones from China, India, Canada, Philippines and the U.S. and foreign diplomatic envoys and representatives of international bodies here and foreign embassy officials. Ri Chol Sok and Kyung-Ae Park made speeches. The speakers congratulated those participants on the successful holding of the event and mentioned the importance of the exchange of each other’s experience and cooperation in developing special economic zones and managing and operating them. They said that the event would help to broaden experts’ vision and expand the development work and also contribute to promoting the international exchange and cooperation. Introduced at the event were the present situation in some economic development zones of the DPRK and their prospect and policies of preferential treatment and the master plan for Wonsan-Kumgangsan area. The results of researches and opinions were exchanged and the BOT widely applied to investment and cooperation and the experience gained by various countries in doing so were discussed. The event marked an occasion in contributing to turning economic development zones of the DPRK into world-level economic cooperation zones by introducing the advanced experience gained in special economic zones according to the specific conditions of the country. Q) What were your initial thoughts on the SEZ’s? A) It is important to differentiate the North’s SEZ’s from those of other countries to make them attractive to investors. For tourism SEZ’s, many experts have recommended minimizing environmental degradation to promote sustainability. 신평 관광개발구 (신평 tourism SEZ) is a good example where sustainable development can help attract tourists who wish to relax and enjoy the environment. Q) You teach Poli Sci at UBC, how did you get interested in SEZ’s? A) Faculty exchanges among economics and management experts are often more profitable than academic discussions on political science. Naturally, those who participated in the exchange programs were talking about SEZ’s more often than any other topics. Q) What are your thoughts on the prospects of the North’s SEZ’s ? A) I was impressed how the entire country is putting an effort into SEZ projects. This is a very positive aspect, but we need to think about making these SEZ’s more attractive than SEZ’s of other countries. Dr. Park: The key issue of establishing economic development zones (EDZs) is how to make ‘our’ zones distinctive from other countries. In the tourism industry, for example, it has been suggested that simply constructing new buildings, hotels, and condominiums does not offer any competitive advantage because others have been doing the same way. Instead, a better way is to ask ourselves what makes our zones unique so that they could attract people and investment. For North Korea, it is indeed the beauty of the wilderness and untouched nature that makes the country remarkable. While teaching political science in University of British Columbia, I’ve come to realize that the South-North exchange should first take place in the area where both have mutual interests and the outcome can be mutually beneficial. Exchanges among the political scientists will unlikely be productive; so instead, we have been inviting numerous North Korean professors of economics and business, including those from Kim Il-Sung University, Wonsan University of Economics, and Pyongyang University of Foreign Studies. And this year we are extending our invitation for the fourth time. Yet, compared to the number of North Korean experts coming to Canada, not many scholars have visited the North from our end as part of an exchange program. While we were considering ways to facilitate an academic exchange at a greater level, we were lucky to get in touch with Korea Economic Development Association (KEDA; aka Chosun Economic Development Committee). We had a meeting on special economic zones last October […] and this was a follow-up meeting after the successful outcome of the first one. Canada-DPRK Knowledge Partnership Program (KPP) organized the event, and KEDA co-hosted the meeting. Many experts have suggested that more study is needed to make North Korean economic zones distinctive, unique, and attractive. The critical issue remains as to how to attract foreign capital and investment. Despite many challenges North Korea may confront, we believe that passion and diligence of North Koreans will prove fruitful. UPDATE 2 (2014-4-7): KBS has a report (in Korean) on the project. See the report here. Seoul Village has translated some of the details. News of a recent agreement between North Korea and China to build an international high-speed railroad and highway between Sinuiju (a city on the Chinese border) and Kaesong is raising questions about the fate of a scheduled North Korea visit on Apr. 24 by Korail CEO Choi Yeon-hye. If Korail does participate in the project, it would bring South Korea one step closer to the Asian continent via the North Korea-China high-speed rail project, which comes on the heels on North Korea‘s Rajin-Hasan development project with Russia. South Korean businesspeople in China who are closely involved in the high-speed rail project said on Apr. 6 that a contract for the railway/highway construction was signed in Beijing on Feb. 24 by North Korea’s State Economic Development Commission, chaired by Kim Ki-sok, and a Chinese consortium headed by the Shangdi Guanqun investment company. The line would be 376 km in length and connect Sinuiju with Chongju, Sukchon, Pyongyang, Haeju, and Kaesong, with the five-year construction beginning in 2018 with a budget of US$21 billion, or around 22 trillion won. The method would be a Build-Operate-Transfer (BOT) arrangement, with an international North Korean-Chinese consortium providing the investment and delivering the line to North Korea once the costs are recouped. 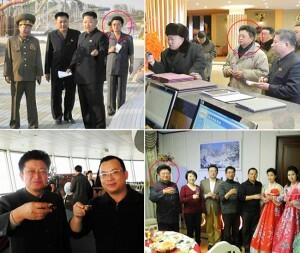 A survey team for the Chinese consortium is reportedly scheduled to visit North Korea in late April. Further increasing the possibility of South Korean participation are guidelines handed down in January by North Korean leader Kim Jong-un, who said North Korea should work with China and South Korea on an international line through a privately funded BOT arrangement. Meanwhile, Korail is awaiting Ministry of Unification approval on a request to allow CEO Choi Yeon-hye to travel to North Korea to attend a general directors’ conference for the Organisation for Co-Operation between Railways (OSJD), which is scheduled to take place on Apr. 24. On December 8, 2013, North Korea reached an agreement with a consortium of international companies to construct highways and high-speed railroad connecting Kaesong, Pyongyang, and Sinuiju. The agreement between North Korean authorities and a consortium representing the Chinese companies was signed in both Chinese and Korean by Kim Chol Jin, Vice-Chairman of State Economic Commission of North Korea and representatives from state-owned enterprises of China’s Commerce Department. The construction period was designated as five years and businesses will operate the rail for 30 years and return the operation rights to North Korean government in the form of a BOT (build-operate-transfer) project, worth a total of 15 trillion KRW. The high-speed rail will be a double-track system with a speed of more than 200km per hour, and the construction of four-lane highway will be built adjacent to the railway. Fence will also be built to prevent unauthorized access to the railway. 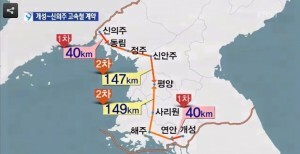 The construction zone will cover the areas of Kaesong, Haeju, Sariwon, Pyongyang, Sinanju, Jongju and Sinuiju, approximately 400 km in total length and from Sinuiju will connect to Chinese cities via railway while from Jongju will connect with the Rajin-Sonbong SEZ (special economic zone) to the Russian Khasan railway to be linked with the Eurasian railway. The consortium working group is planning to visit North Korea to confirm the specific construction plans. It was tentatively decided that the formal contract be signed in Pyongyang based on the proposal submitted by the consortium. The subject of agreement is a multinational consortium of international investment group, which also includes a South Korean company, which is known as a company involved in North Korean mineral resources development. Once the project is in progress, there are plans of bringing other South Korean companies into the project. In exchange, businesses will obtain the development rights of extracting gold from Hyesan City (Ryanggang Province) and iron ore in Musan (North Hamgyong Province). North Korean officials are claiming that this project was the legacy of Kim Jong Il and welcomed the participation of South Korean companies. In March 2011, former North Korean leader Kim Jong Il is reported to have instructed that inter-Korean exchange programs be continued. Upon the completion of the railways and highways, the Presidium of the Supreme People’s Assembly will proclaim international road operations to ensure its stable operation. The operation rights will be given to the consortium for 30 years while the ownership rights will be shared by the North Korean government and the consortium. China is also building new railway lines up towards the North Korean border. According to Naenara, Choe Hyon Chol is the section chief of the State Economic Development Commission (SEDC). He has previously been identified as a director of the Korean Association of Economic Development. In a recent interview with Naenara, he discusses the benefits of investing in the Rason Economic and Trade Zone. Before getting to the interview, however, it is worth noting that the Rason Economic and Trade Zone was set up before the creation of the State Economic Development Commission and it was “controlled” by Jang Song-thaek. Since Jang’s purge, it appears that Rason (and probably Hwanggumphyong) have been moved to the SEDC’s portfolio–that is, under the control of the cabinet. Reporter: Would you please give me a briefing on the Rason Economic and Trade Zone that is now under development. Choe: As you know, northeast Asia becomes one of the global development regions with a great potentiality, for the countries in this region have comparative advantages in respect of availability of production factors such as economic conditions, natural resources and economic and trade relations. The Rason Economic and Trade Zone, situated on the western shore of the lower Tuman River in the northeastern part of Korea, borders on China and Russia, and Japan with the sea on the east. Its geographical location offers immense economic and traffic advantages as a transportation hub as well as a bridgehead of the continent. Occupying an area of 470 km2, it has Rajin Port with an annual handling capacity of 3 million tons of cargoes, Sonbong Port with a handling capacity of 2 million tons of oil and Ungsang Port with a handling capacity of 600 000 m3 of timbre. The sea off the ports is deep and not frozen even in winter. Rajin Port, in particular, has favourable conditions for creating cargo handling capacity of over 100 million tons without building a breakwater thanks to the Taecho and Socho islands in front of it. The zone has also advantageous traffic connections with neighbouring countries. Rajin-Wonjong class-B road (51 km), Rajin Port-Tumen railway (158 km) and Rajin Port-Khasan railway (51 km) are under construction or nearing completion. The Rason Economic and Trade Zone is endowed with abundant tourist resources such as beautiful seascape, lake and bathing resorts, and 20-odd islands including Pipha, Taecho, Socho and Al islands. In view of these favourable geopolitical and economic conditions, the DPRK government declared Rason city as an economic and trade zone on December 28, 1991 and held an international investment seminar with participation of entrepreneurs from 27 countries under the sponsorship of the UNDP and UNIDO in September 1996. It also raised Rason city to the status of special city on January 4, 2010 and agreed with China on the issue of joint development and management of Rason Economic and Trade Zone and Hwanggumphyong-Wihwado Economic Zone in May 2010. In November 2010 the DPRK and the Chinese governments signed the Agreement on Joint Development and Management of Rason Economic and Trade Zone and Hwanggumphyong-Wihwado Economic Zone and organized the DPRK-China Joint Guidance Committee. The second session of the committee was held in June 2011 in Yanji, Jilin Province, China and its third session in August 2012 in Beijing. Besides, both governments concluded the agreement on establishment and operation of management committee for Rason Economic and Trade Zone, the master plan for DPRK-China joint development of the zone, the framework agreements on investment in ports, industrial districts and power transmission within the zone and investment and cooperation for construction of a new border bridge between Wonjong and Quanhe, the agreements on investment and cooperation for a high-efficiency agricultural model district and investment and cooperation for building-materials industry and the master plans for Sonbong-Paekhak industrial district and Rajin port industrial district. The development of the zone in which a hundred and scores of businesses from different countries of the world are now active is in its initial stage but the number of potential investors with exceptional interests in the zone is increasing as days go by. Reporter: How is the present state and prospect of the zone? Choe: I shall begin with the progress of city construction. The city is divided into residential quarters, industrial district and traffic junction district. The residential quarters consist of economic and trade area and peripheral area; the economic and trade area is subdivided into Rajin, Sonbong, Ungsang, Kulpho-Uam and Chonghak areas and the peripheral area into Tumangang, Hongui, Wonjong and Huchang areas. The industrial area embraces Changphyong, Yokjon, Chonggye, Sinhung, Tongmyong, Namsan and Andong areas. The traffic junction district includes Rajin, Sonbong and Ungsang ports, Rajin, Ungra and Sonbong railway stations and Chongjin-Wonjong and Chongjin-Tuman River roads. The project of Rajin-Wonjong road started in April 2011 and completed in October 2012, and the power transmission project is now under way. Currently, three railways run through Rason. (1,435 mm) is laid from Pyongyang to Rajin and combined-gauge track with standard gauge and broad gauge (1 520 mm) from Rajin Railway Station to Tumangang Railway Staion, leading to Khasan Railway Station. The updating project of Rajin-Namyang railway has been agreed with China in October 2012 and the construction of Sonbong-Paekhak industrial district, building materials industrial district, high-efficiency agricultural model district and Wonjong-Quanhe border bridge is in full swing. When the construction projects of power line, railways, ports and border bridge are brought to completion, the Rason Economic and Trade Zone will be turned into a promising economic and trade zone of the world standard. Next, tourism is booming in this zone. Rason has eight bays and 21 islands, big and small. There are Pipha, Chujin and Kalum Headland tourist attractions furnished with hotels, restaurants and sea bathing grounds along the coast. Rason abounds in natural monuments, mineral water, spring water and marine products, and sea birds and coastal scenery strike tourists with admiration. As mentioned above, the Rason Economic and Trade Zone is a special economic zone equipped with all conditions favourable for preferential trade and investment, transit transportation, tourism and financial and service businesses. The DPRK government is constantly encouraging foreign investors to invest in intermediate trade, industry, agriculture, construction, transport, communications, science and technology, tourism, service and finance. Today the development prospect of the zone is optimistic. We are looking forward to an active investment in development projects of the zone, promising high profit with small investment. Reporter: Thank you for kind explanation. PDF of the interview here. North Korea has been showing increased efforts in attracting economic investment from overseas Koreans. In particular, recent foreign media outlets run by overseas Koreans are showing increased emphasis on economic cooperation with North Korea. In the March issue of the monthly magazine Joguk (Homeland) published by the General Association of Korean Residents in Japan (a pro-North Korea association), featured an interview with Park Kyung Jin, the director of Economic Cooperation Office for Overseas Koreans. In the interview, Director Park described the plans for the organization: “We are diligently working to create an environment where overseas Koreans can successfully do business with North Korea.” He also emphasized that they are continually working to protect the rights and provide special legal treatment for overseas Koreans. In addition, in order to increase economic cooperation with overseas Koreans, the commission introduced future plans of easing the travel process to and from North Korea including visa and other entry requirements. North Korea is subject to international sanctions that limit its trade with most of the world and appears to be turning to overseas Koreans to overcome the country’s economic crisis. Rather than reaching out to other foreigners, North Korea is likely to be reaching out to overseas Koreans who share a common language and ethnicity, with relatively easier access. Since the establishment of the Joint Venture Act in 1984, North Korea has worked extensively with the General Association of Korean Residents in Japan and with ethnic Koreans living in China. Since the launch of the Kim Jong Un regime, economic development zones (EDZs) are being set up across the country and ties with overseas Koreans are likely to be strengthened in efforts to further attract foreign investments into North Korea. Kim Ki-sok and Kim Chol-jin, chief and deputy chief of the North’s State Economic Development Commission, had been sacked in connection with the purge and execution of leader’s uncle, Jang Song-thaek, in December last year, but have been reinstated after undergoing an “ideology re-education,” the source said on the condition of anonymity. “Kim Ki-sok and Kim Chol-jin were forced to resign from the posts after being involved in the case of Jang Song-thaek, but reinstated as they were considered not so close to Jang,” the source said. After reinstatement, Kim Ki-sok, chief of the North Korean commission, made secret visits last week to Beijing and Shenzhen, southern China, during which he met with Chinese business people, according to the source. A source in Beijing said Kim visited Beijing, Shenzen, Singapore and Malaysia last week. He met with businesspeople interested in developing North Korea’s special economic zones. Kim also met with Chinese officials who had experience in developing special economic zones, the source said. In Singapore, Kim discussed the development of a tourism zone in Wonsan. But he apparently returned empty-handed. Diplomatic sources in Beijing say North Korea is poised to push for more economic exchanges with China after elections for its rubber-stamp parliament on March 9. It will form a new team to handle the initiative now that Jang and his associates have been purged. Prime Minister Pak Pong-ju or Ri Su-yong, a deputy department chief in the Workers Party who used to manage the coffers for former leader Kim Jong-il, may pay an official visit to China, according to sources. Read other posts about the State Economic Development Commission here. Kim, along with Park Bong-ju [Pak Pong-ju], the Premier of North Korea and Roh Du-chol [Ro Tu-chol], head of the National Planning Commission, are expected to be the key members of North Korea’s economic policy team. North Korea experts consider Park and Roh to be market-orient reformists although one analyst voiced caution. You are currently browsing the archives for the State Economic Development Commission (SEDC) category.